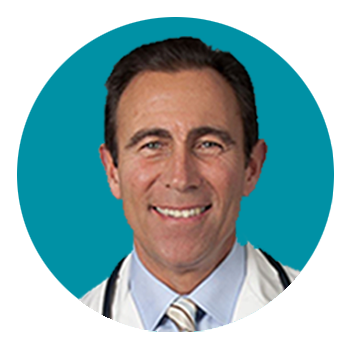 Renowned veterinarian and veterinary medical journalist, Dr. Jeff Werber is often seen on the top news and talk shows educating and enlightening pet owners on a variety of topics from basic pet care and nutrition to abnormal behavior and prevention of disease. With over 30 years of experience, he has not only established himself in the medical field, but also sits on the advisory board of Veterinary Economics Magazine, and has notable publications in Veterinary Forum and The Pet Press. Dr. Jeff works hard at his mission to strengthen the "Human-Companion Animal Bond” and dedicates his time to several animal welfare and rescue organizations. Why is my dog always scratching itself? An occasional itch may be quite normal, but it should never interrupt activities, cause hair loss or skin damage. It also should not be often enough that it is bothersome to the owner. Could my dog’s itching be due to allergies? Yes. Frequent or constant scratching, licking, biting, scooting and/or rubbing are most often signs of an allergic skin disease. Common allergic skin disease in dogs occur in response to fleas, food or environmental allergens such as pollens, molds or dust mites. In fact, many people may not realize that dogs can suffer from seasonal allergies and irritation just like we do. How do I know if my dog’s itching is too much? Although an occasional itch may be normal, it can often be difficult to distinguish between an occasional itch and one that occurs often enough to indicate something more serious, so it’s important to rely on your dog’s body language—or your own instinct. A good rule of thumb is if your dog’s itching is disruptive to your household or damages your dog’s skin, chances are, there may be an underlying medical problem and you should talk to your veterinarian. What should I do if my dog’s itching seems to be more frequent than normal? It’s important to get answers early – especially since continual scratching and itching can lead to additional problems, including infection. Talk to your veterinarian about safe and effective solutions. Is there treatment that can help? There is a safe and effective prescription medicine available that provides fast and safe allergic itch relief so your dog and you can return to normal. Click here to learn more about a treatment that can help lessen itch and inflammation caused by different allergies, like food, flea and environmental allergens, with minimal side effects. What about topical steroids or antihistamines for my dog’s itch? While it’s common for pet owners to try over-the-counter remedies first, these treatments rarely provide relief. This causes frustration and disappointment and sometimes side effects, like excessive drowsiness with antihistamines.